I’m finally back after my summer break and for this recipe, which I adapted from an old recipe, I thought it was not too late to use ‘summery’ ingredients. 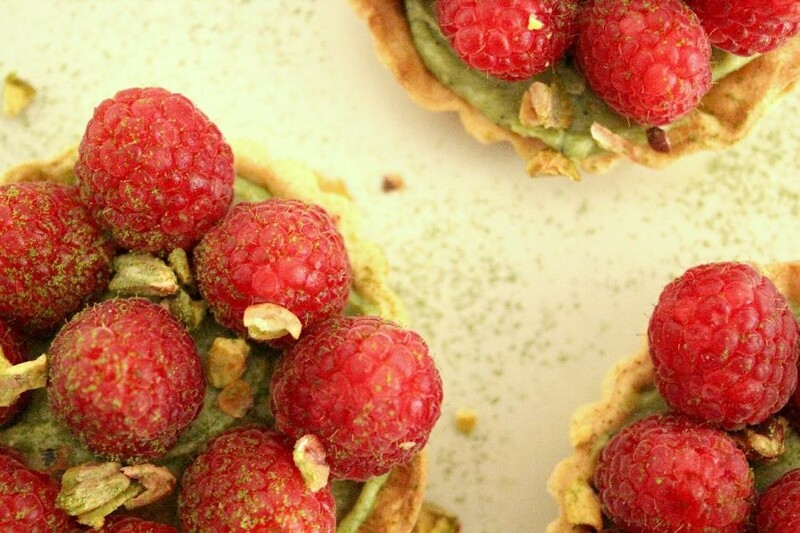 These green tea and raspberry tartlets take no time, especially if you buy the shortcrust pastry rather than making it. The flavours are great and I also love how the red/pink of the raspberries stands out against the sharp green of the green tea custard. Pour the milk into a saucepan over a medium heat and bring to the boil. In a separate bowl, whisk together the yolks and sugar. Add the cornflour and whisk further. Pour the mixture in the milk and bring to boil while continuously beating until the custard thickens. Add the green tea powder and mix further. Put the custard in a bowl, cover it with cling film and let it chill in the fridge. Set your oven to 210°C. 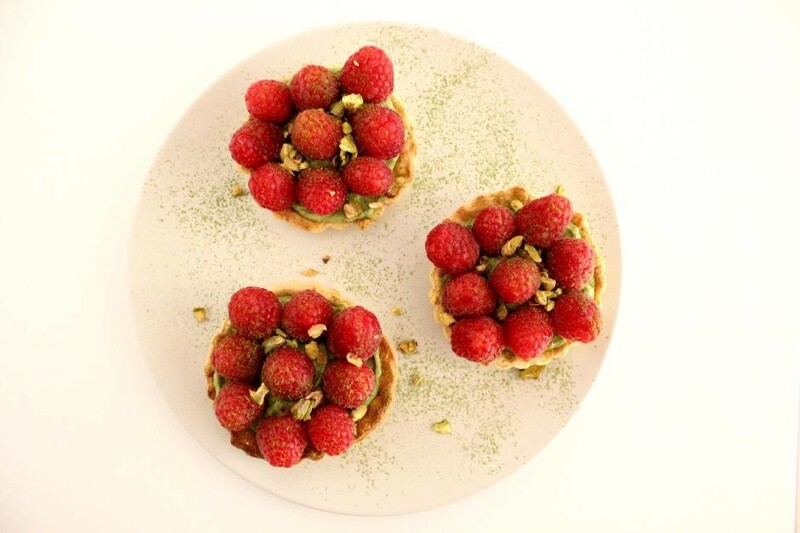 Roll out the shortcrust pastry dough and split it between four tartlet moulds. Cover with baking paper and baking beans and bake for 10 minutes. Bake for another 5 minutes without the paper and beans. Once the pastry and custard are cool, put a dollop of custard in each tartlet. 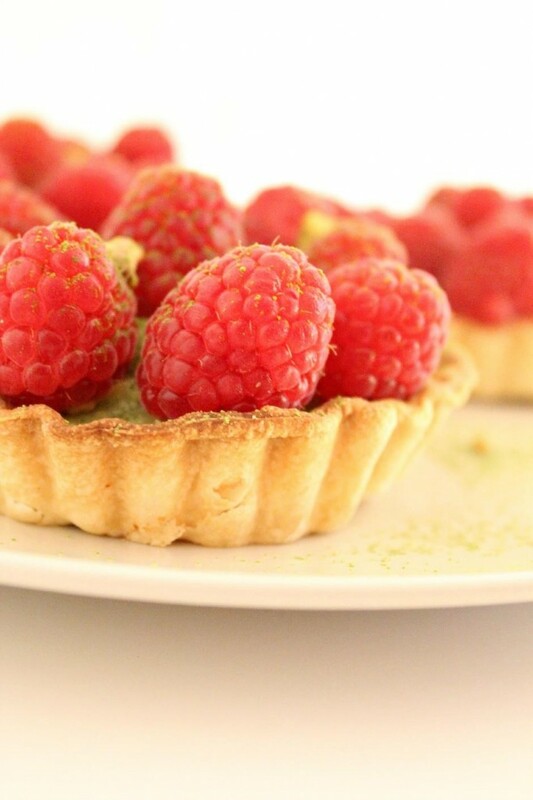 Cover with raspberries and ta-da!